I was sitting on the train yesterday. Staring out at the stations along the upper north shore, of homes with gardens larger than my house and many a Range Rover in sight. Since I stopped working full time I view the world through a different lens. Im not rushing with the rest of the universe, Im far more deliberate with my pace. There are a lot more thoughts. I’ve achieved one of those. The other might be a way off. Im happy to wait. In the wearing of comfortable shoes I’ve given my brain the chance to choose one minuscule topic floating around in the universe and dedicate years to exploring it. I could talk about that one* topic until all the people around me might fall into a stupor on the ground, I could think about the twists and turns that my research question pose for hours each day. I could write word after word after word and still at the end of it find many more words to write. 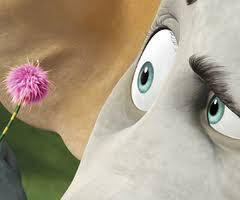 Im Horton from Seuss’ Horton hears a who. Im trapped in a space where the part of the universe that I used to think of as just a speck has now become an entire universe and that the experiences of the people I research sit within that space. It has colour, texture, probably even houses and roads. It has odd characters and predictable characters. It has secret paths and tiny lane-ways. It’s stormy some days and calm on the others. And so I keep going. What do you want to know more of when others might just gloss over it? *The topic is Hope. And how families of missing people exist in the space between hopeful and hopeless.